This easy appetizer is perfect for summer and uses garden fresh ingredients. These kabobs are packed with flavor and low in carbohydrates. They also look beautiful on a serving platter and are sure to impress guests! 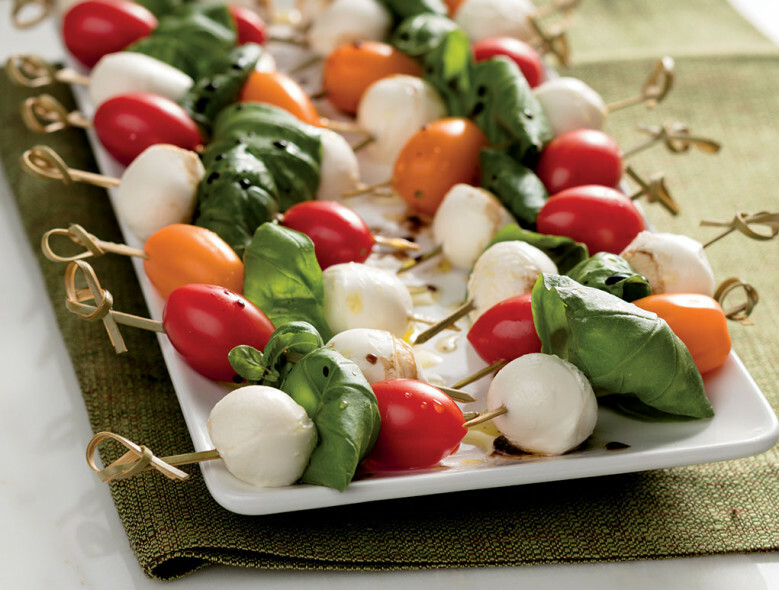 Place 1 grape tomato, 1 basil leaf, and 1 mozzarella ball on each bamboo fork. Repeat this process for 18 kabobs. Place the kabobs on a serving platter. In a small bowl, whisk together the dressing ingredients. Right before serving, pour the dressing over the kabobs to coat evenly.